Hello, Supriya Kelkar! Happy Children's Book Week! I am THRILLED you dropped by Watch. Connect. Read. to finish my sentences and reveal the STUNNING cover for Ahimsa. Supriya Kelkar: Thank you so much, Mr. Schu! I am a big fan of Watch. Connect. Read. and am excited to be here! I am excited you are here. Thank you for counting down the days until today's big reveal on Instagram and Twitter. Ahimsa tells the story of a ten-year-old girl named Anjali in British-controlled India in 1942. When Mahatma Gandhi asks each family to give one member to the nonviolent freedom movement, Anjali is devastated to think of her father risking his life for the freedom struggle. But it turns out he isn’t the one joining. Her mother is. And when Anjali’s mother is imprisoned for her participation in the movement, Anjali must step out of her comfort zone to take over her mother’s work, ensuring their little part in the independence movement is completed. The first time I saw Kate Forrester’s cover illustration I squealed loud enough to startle my baby. It portrays Anjali so perfectly, and I adore how Kate incorporates aspects of the story into her intricate design. From the delicate peacock feathers which have significance to Anjali, to the spinning wheel which played such an important part in the Indian freedom movement, the cover was just a dream come true. Click here to view the original post. Mahatma Gandhi started a revolution with ahimsa (nonviolence) and civil disobedience. He showed the world there was another way to fight for what was right, without weapons. He inspired millions and thanks to him and the countless others in the movement, India eventually gained its independence in 1947. My great-grandmother was a freedom fighter who went to prison for her work in Gandhi’s nonviolent movement. She worked with Gandhi, and there are several letters that were exchanged between the two of them. (Readers can check out my Instagram to see one of them!) Although Mahatma Gandhi is often portrayed as a saint, he did have his faults, and not every Indian was pleased with Gandhi. Ahimsa covers some of the many views on Mahatma Gandhi. 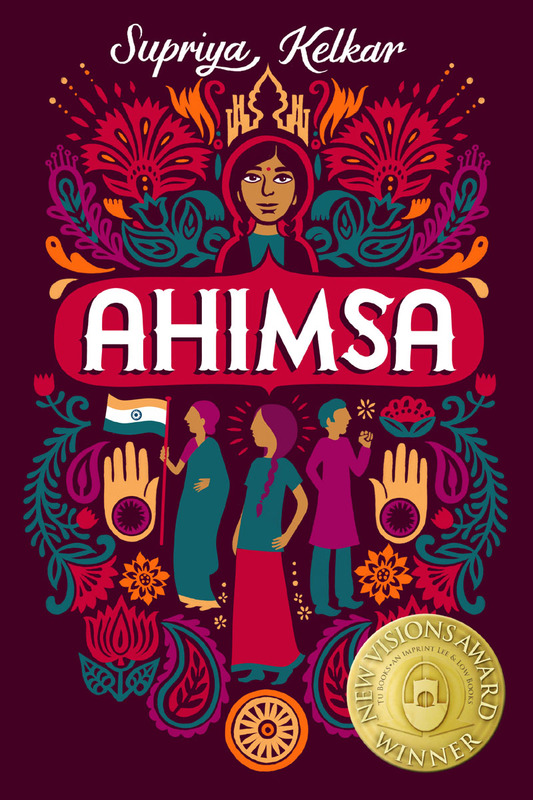 I hope Ahimsa makes readers feel empowered to be the change they wish to see in the world. 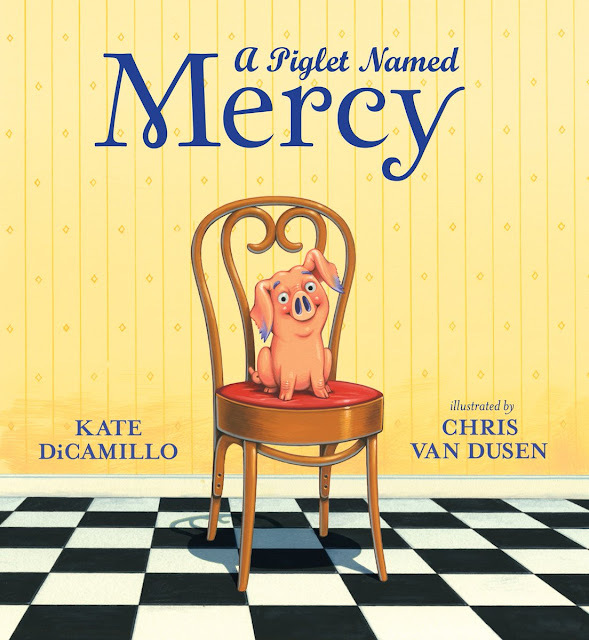 I also hope it serves as a mirror for so many kids who don’t often see themselves reflected in books. As an Indian-American, I grew up never seeing myself reflected in a book in America, so I know how important that representation is. School libraries are windows to the world. They are a place for children to experience other cultures, see things from another person’s perspective, and learn to think critically. But most importantly, I think the knowledge school libraries provide enables children to become empathetic adults, and the world needs more empathy. Mr. Schu, you should have asked me what the greatest birthday gift I’ve ever received was. It was books of course! My aunt and uncle gave me a membership to a book of the month club throughout elementary school. Every month, I’d tear open a package to find three amazing books. I still have every single one of those books and love getting to experience them through my children’s eyes all over again.